Theresa May, UK PM, during European Council Summit, December 14, 2018. NurPhoto/ Press Association. All rights reserved. Brexit still poses a challenges to our human rights. One aspect of the Brexit negotiations that has not been given sufficient consideration is the potential violation of our human rights as a result of the revocation of EU citizenship rights. With the ruling of the Court of Appeal against the application for Judicial Review of the decision to withdraw from the European Union, this matter is now most relevant. There are many aspects of the Brexit process which have proved troubling for individuals but no more so than the question of citizen’s rights. Although the government has introduced the EU settlement scheme for EU nationals in the UK, the rights of UK nationals as presently guaranteed under EU law, are at risk. Specifically, the cancellation of the right to citizenship of the European Union, as a result of the UK’s withdrawal from the European Union, may violate the rights to private and family life, as protected under the European Convention on Human Rights. Throughout the Brexit process, the relationship between European Union citizenship and the protection of our human rights has received little attention. There are several reasons for this. First, there is limited understanding of what European Union citizenship offers. Many of us primarily identify as nationals of particular states. We associate our nationality with our passport. Our national identities have been reinforced through schooling and other state institutions; that is not the case with EU citizenship. Although the government has introduced the EU settlement scheme for EU nationals in the UK, the rights of UK nationals as presently guaranteed under EU law, are at risk. Second, most people do not appreciate the scope of their citizenship rights until they are at risk. In several studies where individuals and groups have seen their citizenship withdrawn, either through a deliberate discriminatory action by the state, or as a result of an administrative failing, it was only when they bumped up against the state that they realise what they had lost. Citizenship tends to be most valued by those who have had to depend on it for practical protection of their human rights. Third, we have been distracted. Both before and after the referendum of 23 June 2016, the national discourse has focused on the sovereign right of states to control immigration, in this case by cancelling the right to freedom of movement. The most recent iteration of this is the Immigration and Social Security Co-ordination (EU Withdrawal Bill) which received its second reading in the House of Commons on Tuesday 28 January. Yet we do not have to look far to see how both immigration and freedom of movement are connected to our most intimate rights. Separated families, those tragic situations where spouses or parents are forced to live apart from their partners or children on other sides of the state border, understand this immediately. Immigration status bears directly on your enjoyment of private and family life. Arguably for many years, EU citizenship was largely decorative. EU citizenship was complementary to national citizenship. It really did not offer much. Equally, the right to free movement was not understood as a civic right but was described as a negative freedom which would remove barriers and enable the construction of the European single market. Although some legal scholars argue that early European Union case law reflected a concern to protect and respect the social and human consequences of migration, the primary rationale was economic. The movement of people across the EU member states was described in terms of labour flows, alongside goods, services and capital. Discrimination on the basis of nationality was prohibited, but the logic and language of European integration described people as aggregated inputs, not as individuals with rights. A handful did of course test their rights before the European Court of Justice but for many years free movement was restricted to workers, defined as those in a subordinate employment relationship and the self-employed, who could demonstrate that they had sufficient resources so as not to be a burden on the host state. Secondary legislation that aimed to promote the free movement of skilled persons was also drafted with economic criteria in mind. But that was then. A generation has since grown up to rely on the provisions included in the Maastricht Treaty which set out the rights associated with European Union citizenship which we enjoy as individuals. More important they have come to depend on the expanded rights included in the 2004 EU Citizenship Directive which enables family members of EU citizens to benefit from free movement. This fact has not been taken seriously by Theresa May’s government which dragged its feet and only now is introducing legislation both promising continuity to EU nationals in the UK and also ending freedom of movement once the UK leaves the EU. Yet, as Goldsmith’s University Law professor Dimitrious Giannoulopoulos argues, the delay, in itself, may constitute a violation of our human rights. Drawing on the 2006 case of Aristimuño Mendizabal v. France, he claims that the fact that EU nationals in the UK were left in a situation of prolonged uncertainty for more than two years may have violated the right to respect for private and family life as protected under Article 8 of the European Convention on Human Rights. Moreover, I believe there is an additional charge that has not been considered but which is now crucially relevant given the decision by the Court of Appeal and the nature of debate within parliament. The termination of our right to citizenship of the European Union may also constitute a violation of our human rights. There are two key issues: the impact of the cancellation of EU citizenship on our social identity; and, the manner in which Brexit is being carried out. There is precedent and it is worthwhile reviewing previous judgments by the European Court of Human Rights. In the 2011 case of Genovese v Malta, the European Court of Human Rights established that citizenship is an aspect of a person’s social identity and is protected under the right to private life. Canvassing public opinion over the past three years, it is difficult to dismiss EU citizenship as meaningless. The outcry from UK nationals, and others, over their relationship to the European Union – whether they identify as remainers or leavers -- is testament that to the fact that EU citizenship rights are not inconsequential but are materially important to their lives. Accounts published by EU nationals, for example in the collection In Limbo: Brexit testimonies from EU citizens in the UK regarding the impending loss of their right to free movement and citizenship of the European Union record at the very least an important sentimental attachment to these rights. They are not alone. According to a 2018 Eurobarometer poll, 58% of the UK still identify as EU citizens. Further, in activating Article 50, the government may not have satisfied a test which has been affirmed by the European Court of Human Rights and which also deals with the rights of permanent residents. In Kurić and others v Slovenia, the Court examined the treatment of more than 25,000 people who saw their residency rights revoked by Slovenia shortly after it declared independence in 1991. The victims were described collectively as the ‘erased’ because not only did their status change from permanent resident to aliens overnight, but they were deleted from the population register. With the cancellation of their residency status they lost a host of associated rights, including access to free medical care, the right to marry, found a family, travel and have a bank account. The Court ruled that the revocation of residency rights irremediably affected the applicants’ private and family life and thus violated ECHR Article 8. The Court also ruled on the lawfulness of the action which brought about the change in residency status and concluded that in order to satisfy ECHR Article 8(2), the erasure law had to be sufficiently foreseeable and accessible. The Grand Chamber found that this condition was not satisfied. The erased individuals could not have reasonably expected, in the absence of an express legal clause, that their status as aliens would amount to them being considered unlawfully resident and result in the ‘erasure’. The erased individuals could not have reasonably expected… that their status as aliens would amount to them being considered unlawfully resident and result in the ‘erasure’. The above case law may also inform the Brexit conundrum. With respect to the activation of Article 50, we might ask if there was an express legal clause which made the revocation of free movement rights foreseeable and accessible? The fact that more than two years after the 2016 Referendum parliamentarians are still debating the parameters of Brexit, including the possibilities of remaining within a Customs Union and/or Single Market, begs the question. This is a critical test. We note that in the case of EU nationals who moved to the United Kingdom, they did so with the expectation that they enjoyed rights which would be upheld. Further, we may ask if the decision to leave the European Union, which was enacted by means of the European Union (Notification of Withdrawal) Act 2017, made clear that the rights currently enjoyed by EU nationals would be cancelled. Although the government has attempted to mitigate the loss of EU citizenship by introducing the EU settlement scheme, EU nationals will not enjoy the full set of rights they had before Brexit. Crucially, with respect to family members who arrive after the UK leaves the European Union, new immigration restrictions will apply, including conditions regarding their level of income and skills. The decision by UK courts in response to the Article 50 Challenge introduces further doubt about the degree to which the Article 50 process satisfies the requirement that the law be foreseeable and accessible. In his decision of 12 June 2018 in the matter of R. (on the application of Webster) v Secretary of State for Exiting the European Union, Lord Justice Gross established that the Prime Minister acting alone made the decision to leave the European Union on the basis of the referendum result and on 29 March 2017, the UK invoked Article 50 before setting out what type of Brexit the country would pursue. The Prime Minister’s decision subsequently left millions in a state of uncertainty. The request to judicial review the decision to exit the European Union may have been refused by the Court of Appeal but there remains another possible course of action. The matter could be considered by the European Court of Human Rights. We deserve to an answer to the question, did the Article 50 process and the decision to leave the European Union violate our rights to private and family life. 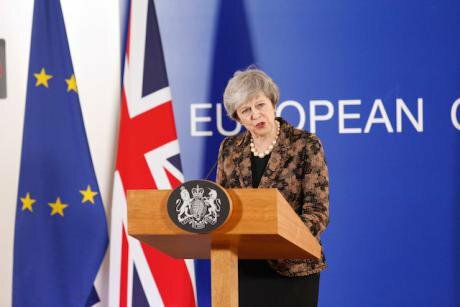 While such a case may not prevent the UK’s impending departure from the European Union, it may force the government to rethink the extent of that divorce and the possibility that we retain more of the rights we currently enjoy as EU citizens.